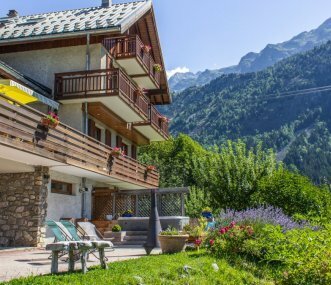 Rent a luxury catered ski chalet or farmhouse in the Alps, or hire a large holiday house at Lake Annecy, and enjoy all the activities the Alps region has to offer, including caving, gorge walking, skiing, mountain biking and walking. Or stay in a catered holiday centre in the Alps which can help you to arrange a wide variety of outdoor activities. 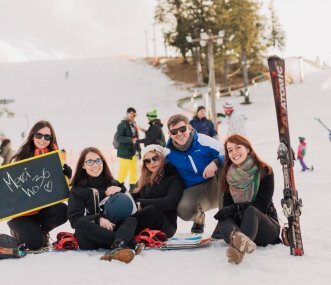 Whether you're organising a group skiing trip, a family reunion or a gathering of friends, the Alps make a fantastic base for a group holiday. 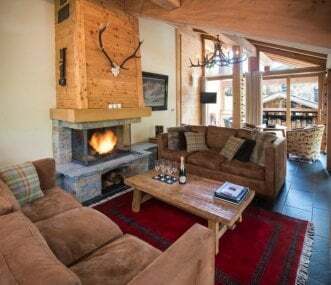 Dominated by dramatic Alpine scenery and the beautiful river Rhone, this is a region of pretty lakes, spa towns such as Aix-les-Bains, and famous ski resorts such as Meribel, Chamonix, La Plagne, St Gerais, Morzine and Les Arc. The mountainous Auvergne is popular for hiking as well as skiing, and is home to the spa town of Vichy, known for the mineral water it produces. Luxury, award winning chalet. Catered during winter (Dec-April) and summer (Jun- Aug) with outstanding cuisine. Other months are offered on a self-catered basis. Perfect for celebrations of all kinds. Large group hostel offering a place for work, relaxation and outdoor activities, winter and summer. A great base for multi-generational groups. Bar and restaurant on site. Close to ski slopes.